NASA's 21st century Vision for Space Exploration included a return to the moon and beyond, with an eye for safe landing sites, potential resources, and characterizing the environment. 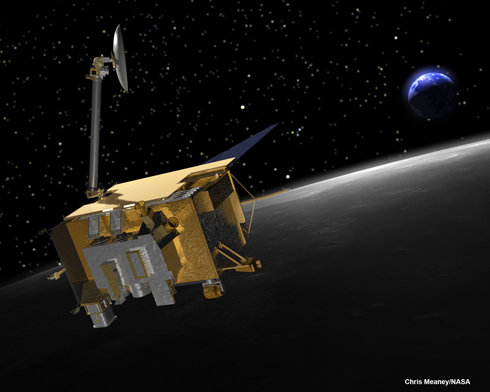 A first step in this lunar endeavor was the launch of the Lunar Reconnaissance Orbiter (LRO) and the Lunar Crater Observation and Sensing Satellite (LCROSS) on June 18, 2009. For its primary mission, LRO orbits the Moon at about 50km (31 mi.) for one year, returning imagery and data used to characterize the environment. LRO's science payload of seven instruments gathers data useful to further exploration of the moon. Among those instruments is CRaTER Cosmic Ray Telescope for the Effects of Radiation. CRaTER characterizes the global lunar radiation environment and its biological impacts by measuring galactic and solar cosmic ray radiation behind a "human tissue-equivalent" plastic. Measure and characterize the deep space radiation environment in terms of LET spectra of galactic and solar cosmic rays (particularly above 10 MeV). Develop a novel instrument, steeped in flight heritage, that is simple, compact, and comparatively low-cost, but with sufficiently large geometric factor to measure LET spectra and its time variation in the lunar orbit. Investigate the effects of shielding by measuring LET spectra behind tissue-equivalent plastic. Test models of radiation effects and shielding by verifying/validating model predictions of LET spectra with LRO measurements. Above, an artist's illustration of the Lunar Reconnaissance Orbiter. (Rollover the illustration to identify CRaTER. )Illustration by Chris Meaney/NASA.